Residents voice their opposition to the BlueWave/Cowls industrial solar development proposed for steep, forested land off Gulf Road. 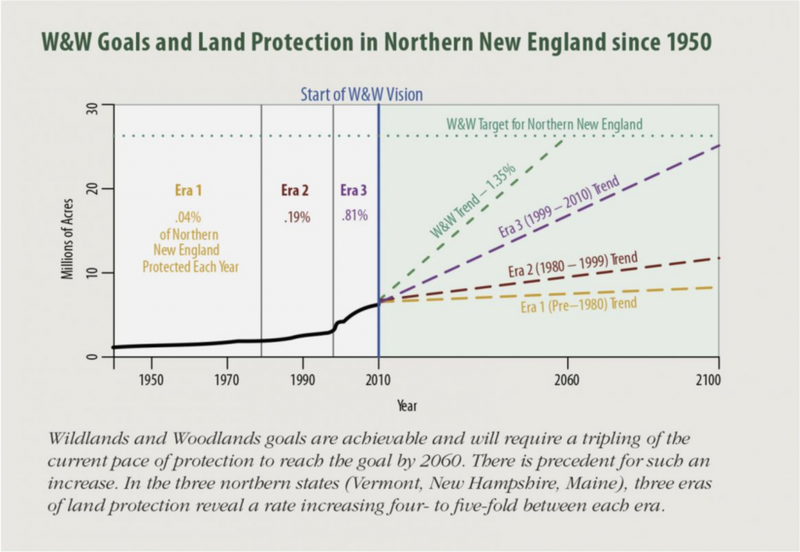 This is a couple months old, but provides good background to the ongoing movement in Belchertown to make sure that solar development in town does not destroy the forests. Where should we site solar? There are many proposals for solar development coming to Belchertown, as well as to nearby towns. Some are easy to support, others are far more complicated - proposing to clear large acres of forested land and impacting watersheds. 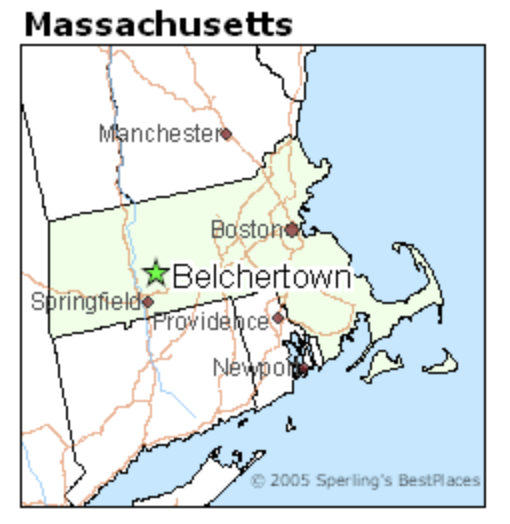 The Belchertown Planning Board has started a process of amending the town by-laws to enable our town to better respond to the influx of solar development. Join the conversation. How can we promote the growth of renewable energies in our town, in particular solar, while also protecting the forest and waters that provide the infrastructure of our common wealth and well being? This is a short event, geared toward educating, connecting and energizing us as residents of Belchertown in planning responsibly for a vital future. Jointly sponsored by Belchertown Citizens for Responsible Land Use and The Belchertown United Church of Christ. What's Special about Special Permits? At our recent public hearing, a Planning Board member explained that what is special about the Special Permit process is that "it’s another layer of protection." Now I'm wondering, protection from what? My question was motivated by an effort to identify the source of tension in a particular set of public hearings about whether an industrial solar panel facility (over 21,000 panels) can be placed in a rural residential neighborhood. The measures by which any request for a Special Permit are evaluated were described by the same Board member as "subjective. They are very hard to figure out." There is no subjectivity needed in the application of Scarboro Brook LLC (Blue Wave Solar/Cowls Inc) to clearcut some 50 acres of mature forest in order to build a massive, commercial, for profit solar array within feet of dozens of homes, a protected coldwater fishery, and a major drinking water resource. On the face of it this industrial project will change the character of the area. No deep analysis or arguments are required. This is the most basic common sense. For one thing, no such configuration exists anywhere in the Commonwealth (possibly not in the country — we’ve repeatedly asked for examples where such a project has gone smoothly (to no avail, to date) and have been doing our own research trying to find an exemplar). By definition, permitting this project changes not only the established character of the neighborhood, but sets in motion a future trajectory with contours that have no precedent. 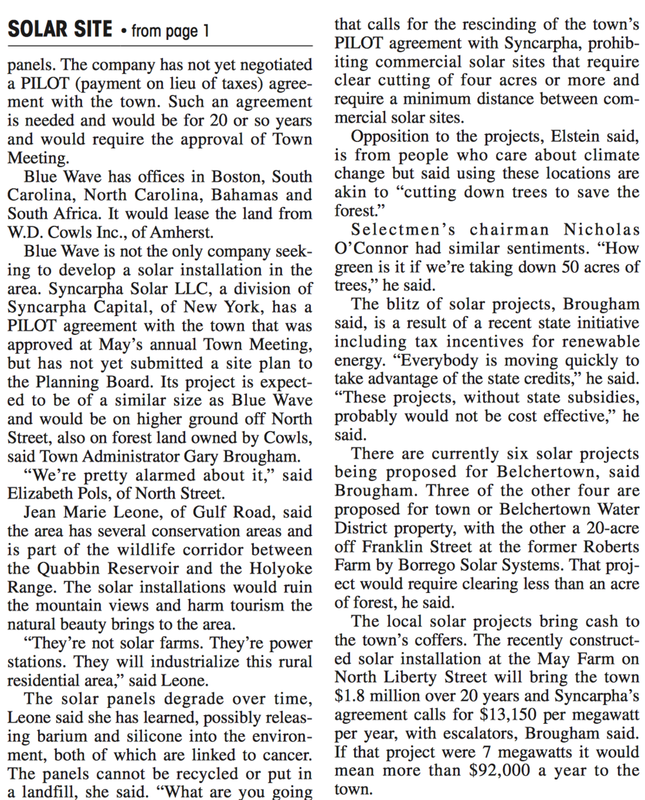 (Unless you count the precedent of two similar-scale but more remote solar arrays who exhibit serious, perhaps intractable, problems: in Orange, “Let’s Not Do Something We’ll Regret Tomorrow”) and Ware/West Brookfield MA (see the [upcoming] White Paper from Belchertown Citizens for Responsible Land Use, and the Letter from Steven P. Garabedian, PhD). So why hasn’t the Special Permit already been denied? What is the motivation for holding the hand of the developers, meeting after meeting, and coaching them to create a plan that can only ever nominally offset the damage? Public hearings are a ritual of democratic government. Hearings provide citizens and residents of a governed entity—such as a town or city, Commonwealth or country—the means to negotiate with elected and appointed officials. In Hearings, we get to say what we like or don't like about a particular project or policy, and explain why. Public officials, elected and hired, then must grapple with the voice of the people (which is not necessarily uniform, although typically a majority sentiment is absolutely obvious) with the "voices" of the system: our legal structure, for instance, and the money-power of corporate business. This particular application to build an industrial solar array at the cost of forest and residents is particularly wrought because it occurs at a moment in time when climate change demands “unprecedented changes in society” (IPCC Climate Change Report, October 6, 2018). Both the Planning Board of Belchertown and the Town’s Conservation Commission are in the hottest of hot seats. This is the moment when your leadership for the future will be clear. You will rise to the occasion or you will fail. This is the moment for “No.” This is the moment for “Enough.” Someone has to stand up to the Legislature’s shortsightedness in developing the SMART program with disregard for the countless comments and evidence from climate activists about the absolute necessity of whole, contiguous forests for mitigating climate change. What’s special about THIS special permit application? This application is special, as an adjective, because it reveals business as usual. This application is special, as a noun, because it offers an opportunity to change history. This is when we turn the tide. This is when we start to save the future. All of us believe solar power is part of the answer. But solar power installed with disregard for the environment, opportunistically—like a disease!—merely repeats the same attitude that got us into this dire confrontation with extinction. This short letter to the editor from Ron and LuAnn Benoit of West Brookfield highlights a key aspect of what we’re experiencing with the various current and potential large-scale industrial solar developments in Belchertown. The Benoit’s letter is from March 2018, written to urge residents and town leadership in their town, our near neighbor, West Brookfield, MA to consider the environmental hazards of a proposed 40+ acre industrial solar project on route 67 in West Brookfield before giving it the green light. The large-scale industrial solar development proposal being brought forth in Belchertown by Cowls Inc and BlueWave Corp. is not a one-time thing. Proposals like this are going to be a trend, and already are a trend locally (West Brookfield, Ware, Orange, North Amherst). We need to plan so we can both support responsible solar developments and protect the environmental resources which are our common wealth. Let’s not make the same mistake in Belchertown that West Orange made in permitting this kind of large scale industrial solar plant on forested land. As we see happened in West Orange, approval of one such plan sets a precedent for approval of more. Especially on a land as steep as that off of Gulf Road where the BWC/Cowls project is being proposed, clear cutting the forests will cause the water to run off the surface, heading quickly downhill, increasing the likelihood of floods on our roadways and driveways and contamination in the watershed.